Jaya Guru Datta Dear Appaji !! Amazing Puttuji !! Words cannot express how we feel with this Divine gift !! Millions of pranams to the Lotus feet of Karuna Sagara Dattavatara Sadgurudeva !! World wide all the Sri Anjaneya Swamis’ will be happily listening to this video, enjoying the gift and praising our Sri Rama Sadgurudeva !! Nada Brahmane Namaha !! Sri Ganapati Saccidananda Sadgurave Namaha !! Sri Guru Datta Hauman Ki Jai !! Appaji Ki Jai !! Puttuji Ki Jai !! Om Namo Hanumathe Namaha!! JGD. Beautiful! May it bless all now and the generations to come. Please accept our humble prostrations. JGD. Thank you dear Puttuji for this wonderful video clip! All this water coming from everywhere and find its way. After watching I feel like I just had a dip in a holy river. May Lord Hanuman and Lord Shiva showers blessings to all devotees. Pranams to Your holy feet. This is a stunning video! And the raga is so beautiful….. can’t wait to hear all of the ragas Sri Swamiji recorded. We are the lucky ones! THANK YOU, APPAJI!!! that was so beautiful and even my cat stayed to listen despite being harassed by my wild child. Jai Guru Datta! Jai Hanuman!!! Jai Guru Datta ……a masterpiece! peace and soothing energy emanates from raga and the video. 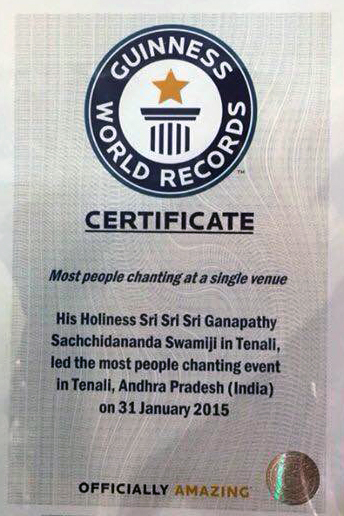 What a blessing for humankind and the earth … Thank you Appaji for taking on this humongous task!!! What’s for a wonderful and powerful video! The combination from music an picture has a very strong effect for me. I have a good channel through my eyes, only to hear is for me not so powerful. more of such videos would be for me the sky here on the earth. Thank you, Swamiji, for this great work, for all your effort you make only for us. Thank you so much!!!! faboulous… it does something inside, spiritually and physically. One observation though. All this musical dvds come as if the music is broken…, the sound is interrupted all the time, not flowing.. why? Can it be improved? Will the benefits be the same as to when one can listen to the good piece of Swamijis music flowing melodiously rather than in zig zags? thank you for this beautiful gift Appaji! Thanks Appaji for this beautiful video. Jai Guru Datta. The video is playing fine for me. The video is made in high definition. If the internet connection is slow, then there will be pauses in play back. Please try switch off high definition by clicking on the ‘HD’ link while the video is playing. That should help. JGD. What a wonderful and powerful gift for our beloved Hanuman. Om namo hanumate namah…. Namaste Puttuji, marvellous video. Have no words to speak about Chandrashekhara priya raga. Feel like sitting with closed eyes, listening to it. It is not just a treat to the ears but to the Inner Self. Video is superb with Appaji in various water falls, water falls are treat to the eyes. Water being the element of Muladhara chakra, is very well shown in the video. Zodiac concerned to the chakra is Scorpio. Cannot understand the views of Appaji, in which way He wants to help the mankind. First started unique ‘Music for Meditation and Healing’ which can be listened and now a visual treat with video of concerned elements with healing music which gives enormous results to the people who listen and watch it. Last but not the least, SGS Hanuman video has reached a mile stone of 10 crores, online. 10 crores is not a small number and to make it to this number, how many devotees might have watched this video online regularly for the grace of Sri Swamiji and Lord Hanuman for karya siddhi. One must congratulate Appaji for winning the hearts of people for their own good. This video is offered to Lord Hanuman in the remembrance of completing 10 crore views. Should wait and see what other project Appaji is gifting to the man kind along with the continuous viewing of SGS Hanuman video. Namaste Puttuji and thank You so much.